This is ground I’ve been over before. Coming back to it is necessitated by the US attack on a hospital in Kunduz in Afghanistan. 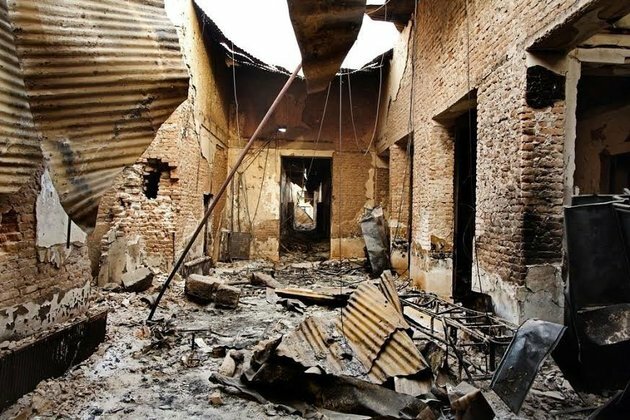 The organization Doctors without Borders (MSF) has reported that at least 30 people (including 12 staff members) were killed and scores of others were wounded or missing. There are reports that patients burned to death in their beds. Doctors Without Borders also reports that doctors who were escaping the carnage were strafed by AC 130 gunships. There was an ever-so-brief dustup about it on the ‘nets over the incident two weeks or so ago. And then we’re back to arguing over who won the DNC presidential debate. And Benghazi. And whether CNBC doesn’t treat Republican presidential candidates with the proper respect. Maybe it’s me. Maybe I was paying too much attention when those 50’s movies like ‘Judgment at Nuremberg’ were on. Maybe all the talk about the Holocaust blind-sided me. I grew up thinking we were the good guys. mea culpa. But here’s a short list of recent war crimes committed by the US in the post-war era. Some I’ve already blogged about. The drone program use of ‘double-tap’ tactics against civilian targets in countries we aren’t officially at war with. One could argue that the entirety of the invasion of Iraq was the supreme war crime of a war of aggression against a country which had no intentions of attacking us. That was the key charge at Nuremberg against Goering and his surviving senior Nazi buds. Not much to add here. It’s just something I’ve been thinking about in the context of my upcoming performance in my play THE STORY OF FALLING DON.